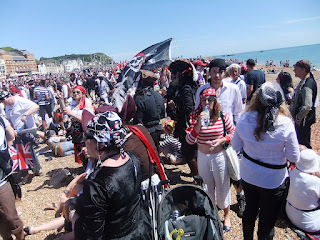 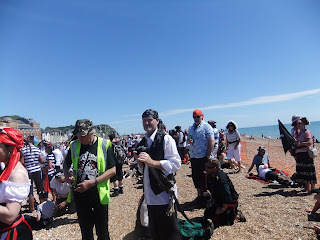 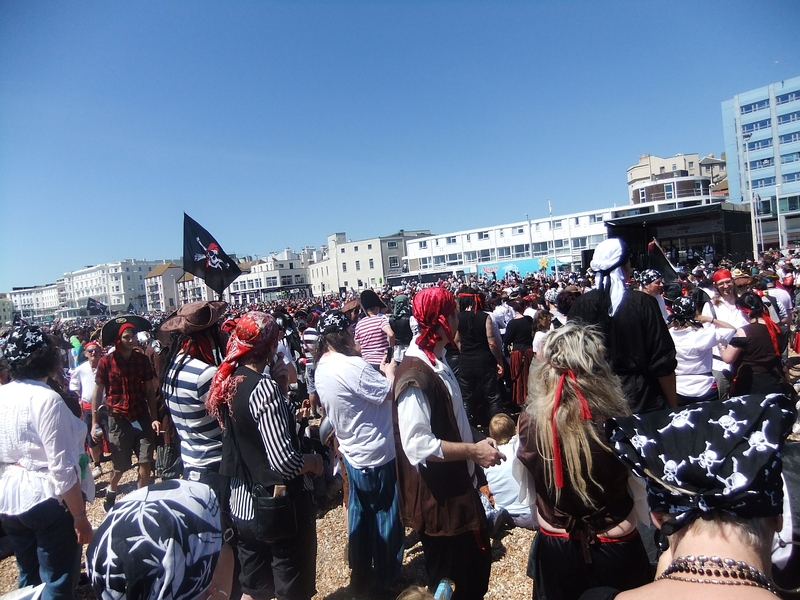 On Sunday, Hastings beach was the site for a Guinness Book of Records Challenge for the largest gathering of pirates and Mr Nifty and I were there! 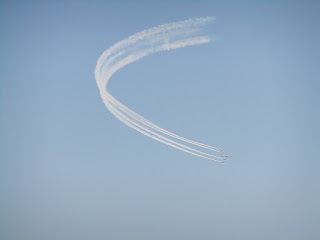 Early of course, I can never be late...that explains why it looks as if it's a pretty poor challenge in this pic. I'd just put my trusty cutlass down, which is just as well. 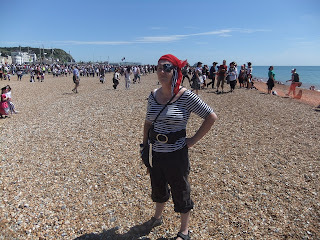 I realised later that I'd been holding it as if it was a cup of tea, by the "handle" - which turned out to not be the correct way. 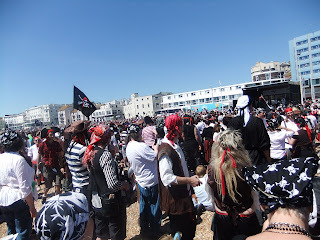 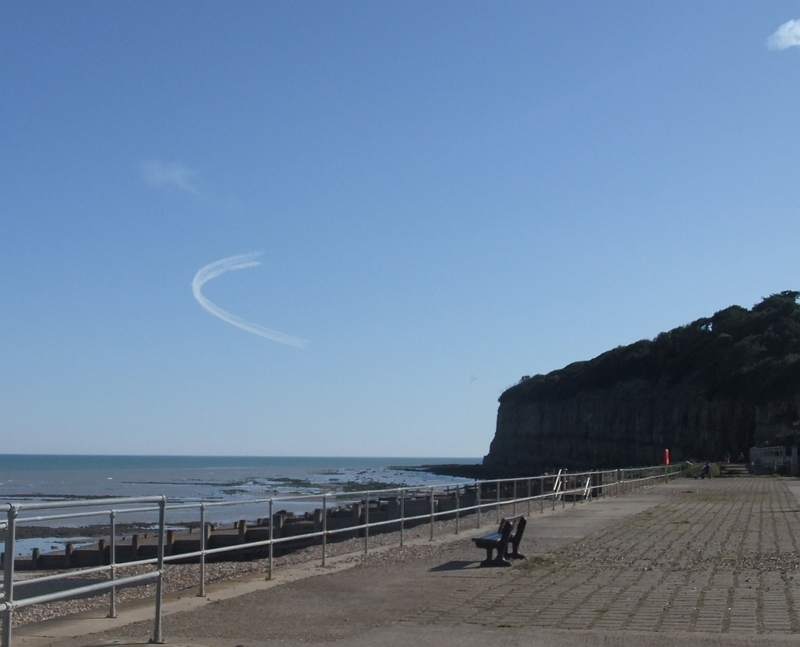 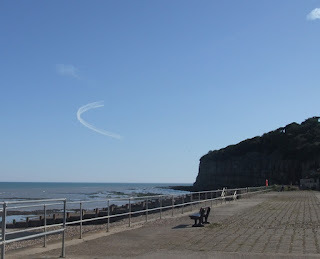 but we escaped the madding crowds and went home to watch from our own (slightly less crowded) beach! Thanks for a great day out - and well done to each and every one of the 14,231 pirates - we're back as the record holders!